The State of Connecticut sent over 55,000 troops to help the Union cause during the Civil War. Those troops were divided into 33 units including separate regiments of Irish American and African American men. Over 20,000 Connecticut men were killed, wounded, or died of disease during the war. 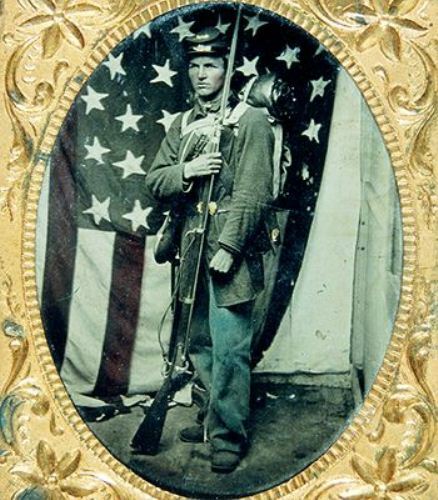 Henry Cornwall was a member of the 20th Connecticut Infantry Volunteers. He served from September 8, 1862 to June 13, 1865. The regiment was organized in New Haven and left the state headed for Washington, DC. During the course of the war, the regiment fought in many battles including Chancellorsville and Gettysburg. They also participated in the Siege of Atlanta, the following occupation of Atlanta, and Sherman’s March to the Sea. During its service, the regiment lost four officers and 76 enlisted men in the course of battle or from injuries sustained in battle. In addition, three officers and 85 enlisted men lost their lives to disease, for a total of 168 deceased.